Brighton Le Sands. Stunning ocean views with gorgeous natural scenery. A hub for multi-cultural cuisine and the latest night time entertainment. All this and more on your door step so what’s holding you back? If the answer is back or neck pain then you need Sydney Wide Chiropractic to start you on a healthier and happy way of life. Modern life is fast paced and stressful and the simple truth is that your body can get worn down. You don’t have to live with back pain, jarred necks and headaches though as we have the help you need to revitalize your body. A visit to us, as the leading chiropractor in Brighton Le Sands, can be the answer you’ve been looking for to finding a renewed sense of mobility, balance and freedom. The most painful and disruptive effects of stress can manifest in an imbalance of nerves through your spine which can seriously affect your quality of life. If left unresolved these spinal misalignments can impede your movement, curb your comfort and result in long term chronic pain. Fortunately, our expert team of highly trained specialists, understand the importance of finding balance between good, effective and affordable chiropractic care in a treatment program suited to your individual needs. 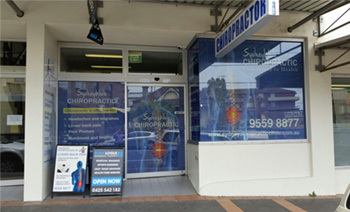 Our commitment to you, as the premium chiropractor in Brighton Le Sands, is to deliver a healthier and better adjusted spine and nervous system so you can find the freedom and well-being you deserve. We’ve been helping families in Brighton Le Sands for 11 years and now it’s your turn to experience the benefits of our vital health treatment programs. Everyone wants safe and natural health care solutions and that is our guarantee to you. We’re committed to helping you achieve your true health potential, opening a new and attainable vitality that isn’t driven by vicious consultation cycles but by re-educating you on healing your own body. So if you’re ready to take the first step on your new health journey then call us on (02) 9529 4008 or email us at info@sydneychiropracticclinic.com.au and book a treatment today.